Well, what better way to learn about bosozoku lifestyle than to view the Shakotan Boogie movie on video? 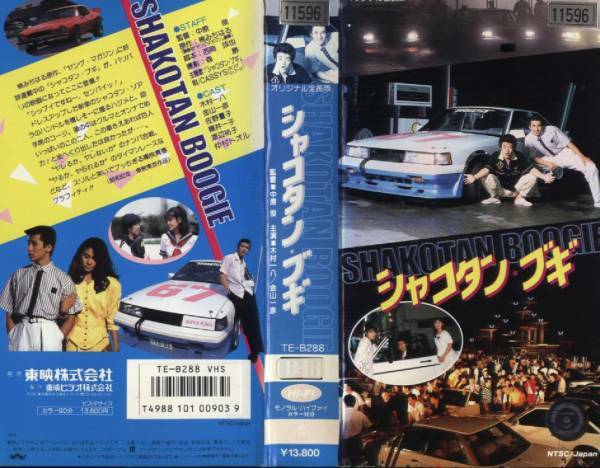 Lucky enough a couple of the good old Shakotan Boogie VHS tapes are up for grabs on auctions.yahoo.co.jp. Cheapest is only about 14 dollars… And what about this a nice Shakotan Boogie photobook? Now where is that creditcard of mine?? Apr 29th How deep is your dish? The rims itself are only a pair, so no full set. They have an offset of -78 which, according to my calculations, need about 15 cm of fender extenders to fit on my own car! 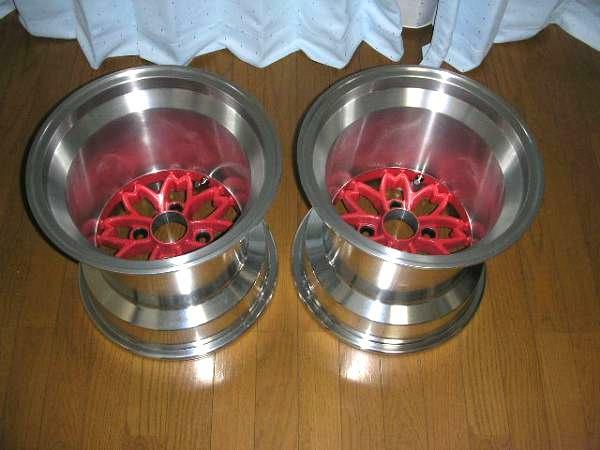 Even though these rims are back in production again since 2 years they really are something special! The Super Silhouette Formula was fully according to the rules of the FIA Group 5. In 1979 the rules were changed to Generation 4 in which the FIA allowed the so called “Special Production Cars” in which the FIA allowed cars falling in Group 1 to 4 can be modified extensively but restricted the width, the height (roofline) and the shape of the car to remain original (hence the silhouette name). 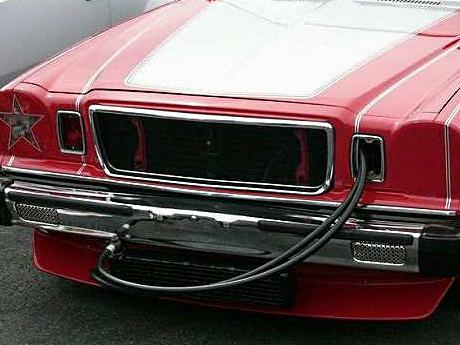 The loophole was that is only accounted for the body of the car and not for the fenders and therefore cars were still standard width but featured the ridiculously wide fenders. Maybe you can best compare the Super Silhouette formula cars to the current modern DTM racers with their big winged silhouette cars. 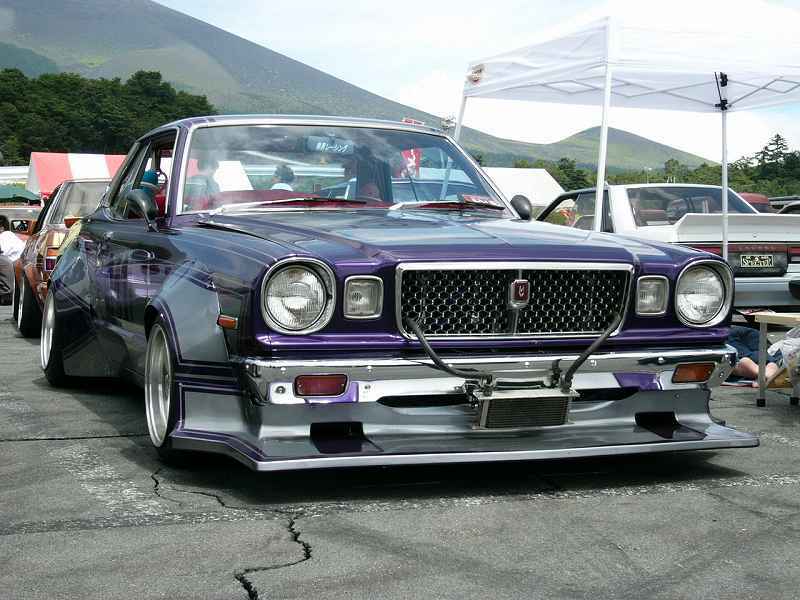 In Japan these series were new and were used as a warm up of the Fuji Grand Champion of the year. 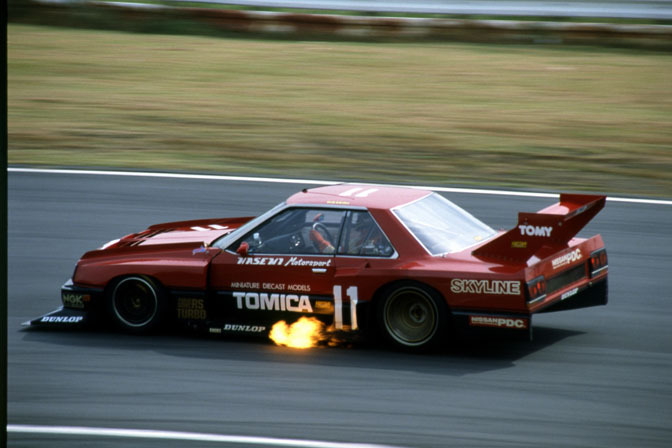 After 1982 the FIA changed the rules of the Group 5 in favor of Group B, however it continued in Japan as opening races for the JSPC during 1983 and only two races were held in 1984. After years of absence in production car racing Nissan intended to fully dominate the new group 5 series and returned with a set of Fairladies in 1979 and lost. 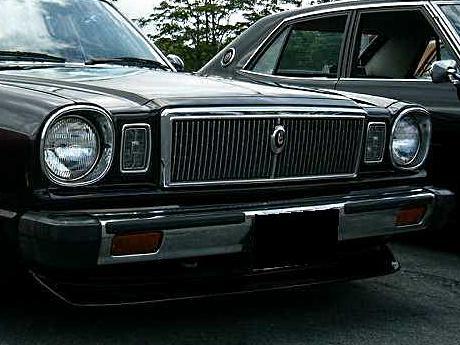 In 1980 and 1981 private teams used a Nissan Violet 710 and a Silvia S110 and Nissan supplied them with parts like the LZ20B engine. 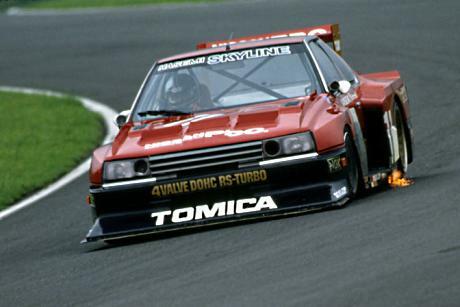 The S110 only had two wins during those early years In 1982 they teamed up with Nissan and had a line up of the Skyline KDR30, Silvia S12 and the Bluebird 910. 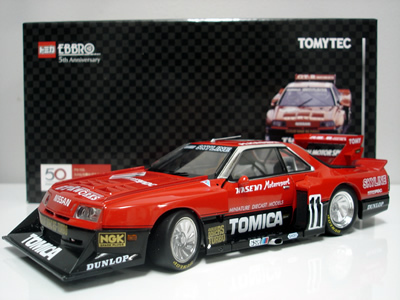 And it worked: the Tomica Nissan Skyline KDR30, driven by Hasemi Masahiro (a former KPGC10 driver), dominated along with the Impul Silvia Turbo S110 in 1982 and the S12 in 1983, driven by Hoshino Kazuyoshi, the Super Silhouette formula series in 1982 and 1983 while being backed up by the Bluebird KY910. The Skyline KDR30 had a total of 7 victories: 2 in 1982 and 5 in 1983! Based upon the shape of the Nissan Skyline RS R30 the Tomica Skyline KDR30 was one of the most powerful cars in the Super Silhouette formula. Note that the Skyline RS Turbo only was for sale after the Tomica Skyline KDR30 raced for over a year! 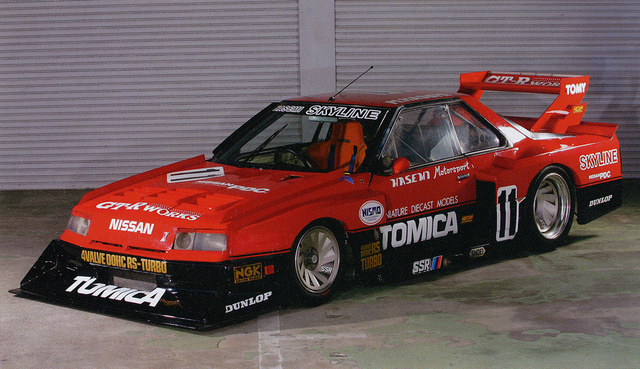 Also the RS-X Turbo Tekamen (??? 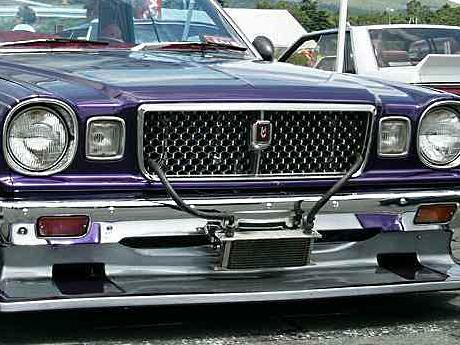 ), as known as the Iron Mask, was launched in august 1983 which is almost at the end of Super Silhouette Formula era. The car never got facelifted to match up with the RS-X new front end. Huge spoilers were needed to keep the car on the ground and even the rear end was lengthened to create even more downforce on the rear wheels. To keep the weight down (1005kg!) the car featured a tubular chassis with only partly a monocoque design of aluminum. All exterior was made from fibreglass and of course they needed a 2 liter racing spec engine to power this beast. The car featured the LZ20B engine. 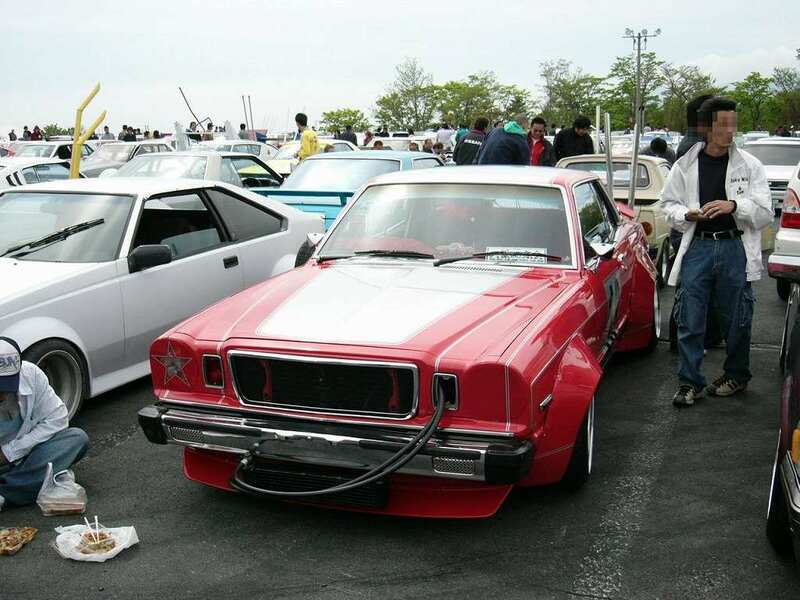 The LZ engine was back then the racing spec engine by Nissan and was based upon the L engine (many flavors) featuring a different head with a 16 valve twin cam. So the LZ20 was basically an overbored L20 engine (2082 cc instead of 1952 cc) with a special twin cam 16 valve head on it. The LZ20 engine was first used in a Nissan Violet A10 doing a safari rally but featured in many formula race cars later on. The LZ20B used in the Skyline KDR30 was improved a lot over the years and featured electronic fuel injection and turbo charging through a T05B turbo. It was able to output 570ps (563bhp) at 7600 rpm and delivered 539 nm at 6400 rpm. The competing Silvia Turbo S12 and Bluebird 910 did also have the same LZ20B engine but both were entirely different tuned: some sources say the Silvia was only capable of 500ps and it did that at 8000 rpm. For the Silvia it didn’t really matter because it was much more streamlined than the Skyline and Bluebird. 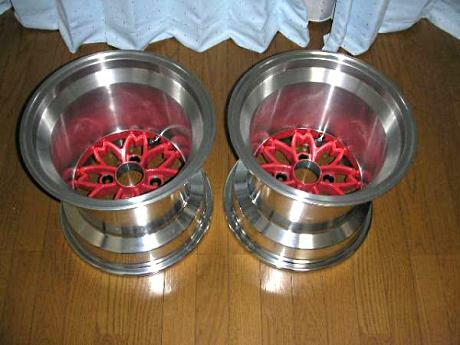 To keep the car on the track SSR provided the front rims of 15 inch and the rear rims of 19 inch in diameter. Note that the turbine lookalike rims only featured during the 1983 and 1984 season: in 1982 it featured Rays mesh type rims as seen in the picture above. The Dunlop tires were 270mm wide and at the rear 350mm, that is almost as wide as the current Formula one spec! Also the car was slowed down by four Lockheed disk brakes with four pistons per caliper! You can really see the LZ20R, the intercooler and the big lockheed disk brakes well in this video. Also this car gets confused with the Group C Nissan Skyline RS Turbo C which also featured the number 11 in some occasions. It looks quite similar but is not the same car. This car was ordered by a Nissan dealer in South Africa to feature in the Kyalami 9 hour endurance race in 1982 and had to meet the Group C specifications. It is lower than the Super Silhouette Formula counterpart (different height regulations) and has a different front and rear. The car was used in a few other Group C races as well but was never really successful. 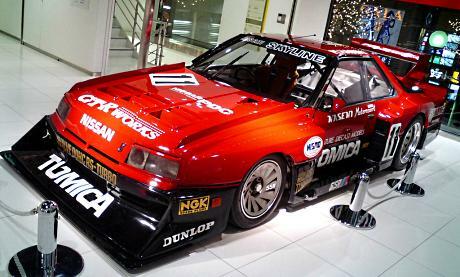 Nissan Skyline RS Turbo C (Group C) is a different car! I really understand why the looks of this car got copied in so many ways: it looks like an unleashed beast when driving on the circuit! It was an incredible and outragious car at the same time! And eventhough it only shared its front and tail lights with the original Skyline RS it is still an icon for the whole Skyline R30 generation. 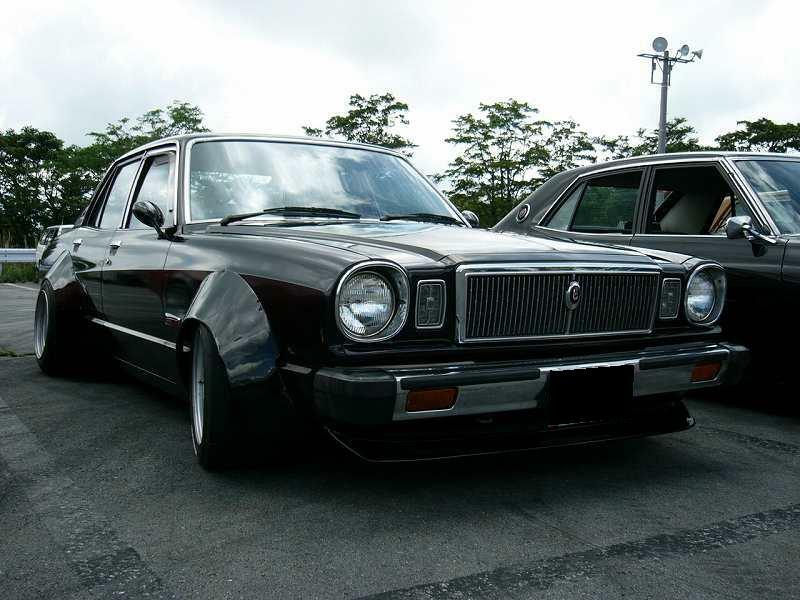 Imagine driving to a bosozoku car meeting with all your boso friends and one of the cars is lowered so extreme that sparks are flying around all the time! So, this week we seek the answer to the following: how big should oil coolers be? A small oil cooler looks best! 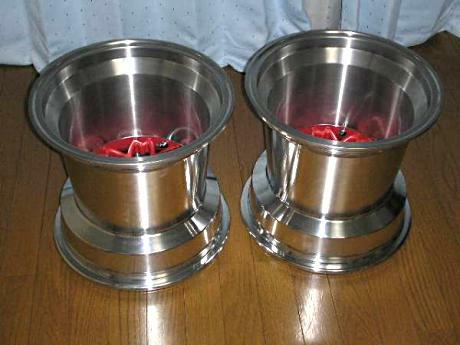 Oil coolers? No thanks, better keep the looks clean!